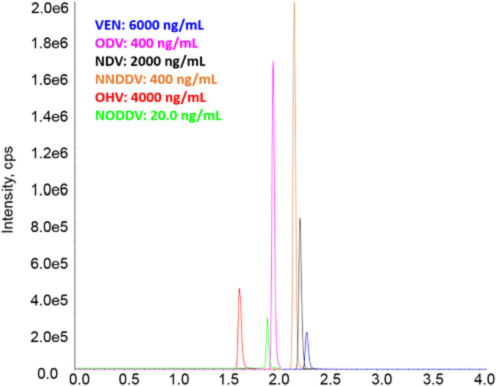 Determination of Venlafaxine and Five Metabolites in Rat Plasma. This method was validated by following the US FDA guidance for bioanalytical method validation. To read more about the Validation of an LC-MS/MS method for simultaneous quantification of venlafaxine and its five metabolites in rat plasma and its application in a pharmacokinetic study click here.